Welcome to the official site of the Empowered Volunteer Rebuilds America! The purpose of this site is to empower any passionate person who wants to learn how to build or in some cases rebuild memberships to various charitable groups or the groups who support the charities! It would also help if this person has aspirations of deriving health benefits from his or her actions as well. In other words, by presenting your passion in a positive direction you will get more back in benefits than you put into the effort of helping the charity, according to many studies! How about that for a change, you can get back more benefits for yourself than the cost of the effort you put into the organization. To do this the empowered volunteer must be passionate about a specific charity first off. Finding the group who supports that charity or becoming passionate about the group supporting the charity will, studies have shown produce many health benefits for the passionate volunteer. This site will review the many studies and show how the various healthy benefits for the individual who volunteers are produced. To sum it up, a passionate volunteer can positively impact their own health and happiness with very little money involved and minimal time allocations! Now just joining a group, putting the membership card in your purse or wallet will NOT produce the health benefits I have been alluding to. You have to do a bit more than that. If you follow the Empowered Volunteer strategy you stand a great chance of maximizing your potential, again according to various studies. There is also the satisfaction of helping to make a worthy charity become better funded by building new members. What a deal! Just for doing something you want to do anyway, you can increase the likely hood of living longer and in better health while helping your country rebuild its various volunteer infrastructure programs that have seen sharply dropping memberships over the last few decades. Fewer members mean less revenue for the charities they support in the end, so this empowerment can really make a difference in a huge way. For instance, various civic, fraternal, or veterans groups conduct numerous events throughout their calender year to raise money for the charity they support. Other groups include religious, trade associations, and even children’s groups. An example of a fraternal group who specializes in helping a charity is the Shriners, properly known as Royal Order of the Nobles of the Mystic Shrine, and their cause is Crippled and Burned Children’s Hospitals better known as Shriner’s Hospitals. 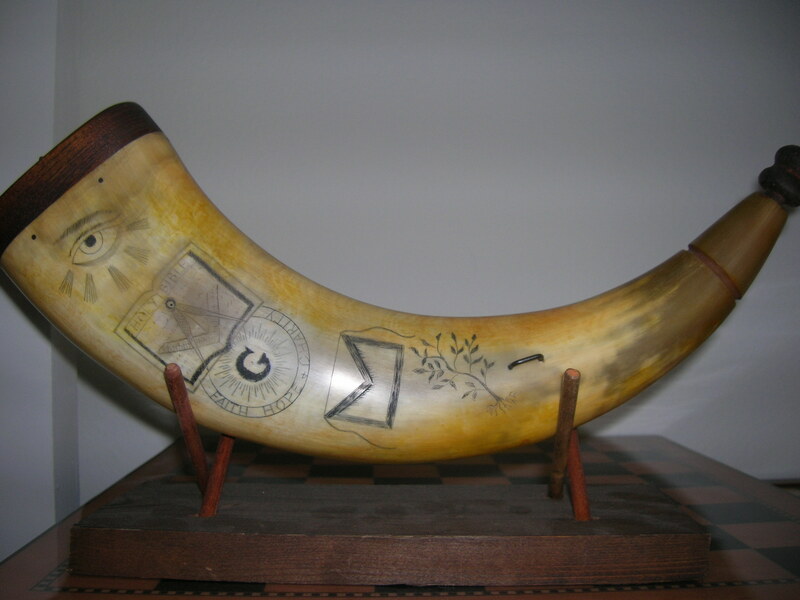 Shriners are associated with Freemasonry. 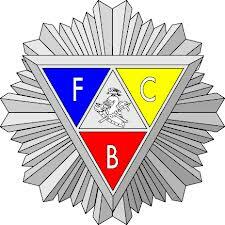 Another fraternal group is the Fraternal Order of Eagles, and they are a Roman Catholic fraternity. They have become known for their support of the Ten Commandment monuments around court houses. 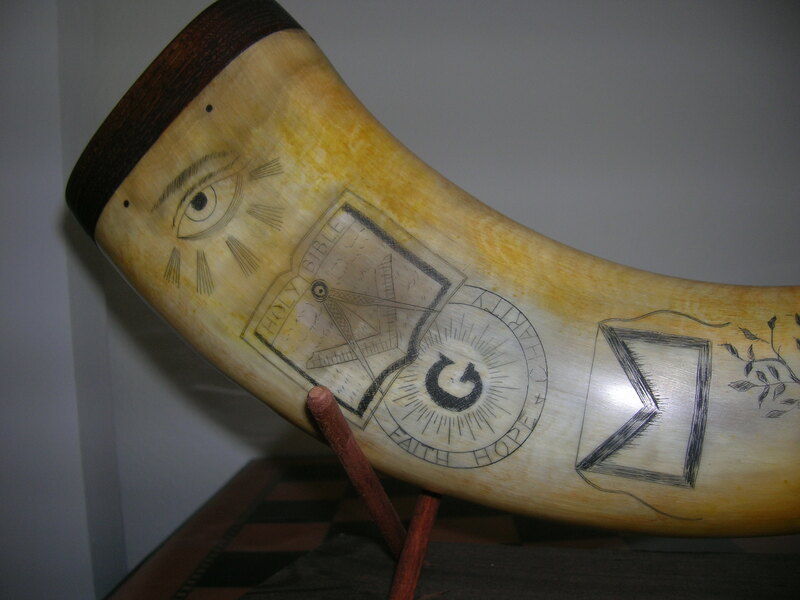 There are many others such as the Fraternal Order of Elks, Odd Fellows, Knights of Pyhthias, Pilot International, Knights of Columbus, and Royal Neighbors of America, to list but a few. All of them need new members. Fraternal groups differ from civic groups in a few ways, but one of the main ways is in how they control their membership. Fraternal groups are specific and closed, often requiring a vote by the existing membership via the famous “black ball” in order to gain membership. Note, in most instances the black ball is really shaped like a cube! Civic groups on the other hand are not closed and are for the most part open to all members. Examples of well known civic groups include Lions Club International, United Methodist Women, Soroptimist International, Rotary International, United Way, Optimist International,and many others. Examples of veterans groups would include American Legion, Veterans Of Foreign Wars of the United States, Catholic War Veterans, National Association of Black Veterans, Navy Mutual Aid Association, and the Fleet Reserve Association. There are many more veterans groups too. The aim of this site is to educate an individual on how to help a group who they are passionate about so that a charity will end up benefiting from more individuals joining and hopefully helping their cause. As an empowered volunteer does this they also accumulate real time individual health benefits which are both measurable and detectable in studies. Social benefits are also incurred according to many studies. This is truly one of life’s win-win situations! One person, with the proper leverage as an empowered volunteer can make a huge impact on a group who in turn supports a charity, thus really magnifying their presence far beyond just joining and being one cog in a large wheel. That is the real impact one person, an empowered volunteer can and should have. Want to be an empowered volunteer? With the proper mindset and a bit of training most people will find they can be an empowered volunteer. Ready to find out the particulars? Let’s get rolling! whoah this blog is magnificent i really like reading your articles. Stay up the great paintings! You already know, a lot of people are looking round for this info, you could help them greatly. I hope a lot of people are looking for this information and I really hope to help them. Please tell all your friends who may not even know they are interested in this topic. We feel that since everyone will benefit health wise, they just may not know they can do so much for themselves just by joining and participating in good civic or fraternal fun! Hi there, I discovered your internet site when i was exploring Bling for websites connected to this material. I wished to notify you, your website is sweet. I just like the structure too, its awesome. I haven’t got the time now to totally read through your site but I’ve bookmarked it and that i also signed up for the RSS feed. I’ll be back in a very day or two. Thanks for the good internet site. You are really make it appear really easy with your presentation but I find this topic to be actually one thing which I believe I’d never understand. It sort of feels too complicated and very wide for me. I am looking ahead for your next submit, I?¦ll attempt to get the grasp of it! Hello there, You have done an incredible job. I will definitely digg it and personally suggest to my friends. I am confident they will be benefited from this site. Thanks for sharing and for the compliments. F*ckin’ tremendous things here. I am very glad to see your post. Thanks a lot and i am looking forward to contact you. Will you kindly drop me a mail? What i don’t realize is actually how you’re not really much more smartly-appreciated than you may be now. You’re so intelligent. You realize thus significantly relating to this topic, produced me in my view imagine it from so many varied angles. Its like women and men are not interested except it’s one thing to do with Girl gaga! Your personal stuffs great. All the time deal with it up! Edwin, if you liked the welcome post that much please return and check out the 30 other posts since I started this blog a few weeks ago. I think you will be very happy. I don’t even know the way I finished up here, but I assumed this publish used to be good. I do not understand who you are but definitely you’re going to a famous blogger in case you are not already Cheers! Alejandrina, If you like the welcome post that much be sure to check out the other 30 odd posts and counting. There is lots of great content for you to study and enjoy. If you like that, review my sources and authors that I draw from. Don’t forget to tell your family and friends about this site and the health benefits from networking, social capital engagement, and even the fun of volunteering! Thank you for sharing your notions on this site. the usual information an individual provide to your guests? Youre so cool! I dont suppose Ive learn something like this before. So good to find any individual with some authentic thoughts on this subject. realy thanks for beginning this up. this web site is something that’s wanted on the internet, someone with slightly originality. helpful job for bringing something new to the web! Fatima, the quick answer right now is no. I have had a bunch of requests over the last two days for this and I have said the same thing to them. My computer partner helped me set this site up and he is not available for a few weeks. I hope to have a free e-book ready when he returns and at that time I may have him teach me about this subject, all of it. Not just the link but how it affects my blog, how fast it operates and all of that. I don’t want to mess with success right now. Sorry to turn you down. Pennie, I am limiting the comments to something relevant and rational. Please don’t prefer to write you opinion on an unrelated topic. Thanks. You really make it seem so easy with your presentation but I find this matter to be actually something which I think I would never understand. It seems too complex and extremely broad for me. I’m looking forward for your next post, I’ll try to get the hang of it! Luther, if the welcome page is too broad just look around at the topics and see what interests you! I simply desired to say thanks yet again. I am not sure what I might have carried out without these suggestions revealed by you on this subject. It actually was an absolute challenging concern in my opinion, however , taking note of the very specialised style you managed that took me to leap for fulfillment. I will be thankful for the information and wish you realize what an amazing job you are putting in training people today with the aid of your website. I know that you have never got to know all of us. You are welcome! Check back in the next few weeks for a new e-book and some other things. If demand is high enough I may write a book for sale on empowered volunteer wisdom. Let me know if that interests you. Perry, there are tons of places to visit if you google blogging. Refine the search for your taste. I use wordpress and a free theme. I have had the content in my life forever so that part is easy. I am using a computer partner for some things but the content is all mine. I would say that if you are serious get yourself in front of the computer and crank out at least 10 posts of roughly 1,000 words each, quickly. If you have an easy time with that, you may be ready. My computer partner was stunned when I had a dozen blogs up in a couple of days. You must know your material well enough to do this if you think you are going to do this for a passion! I have to really search for my valuable data sources but I have the content in my head for another 100 posts easy! I hope this helps. I do not even know how I ended up here, but I thought this post was great. I don’t know who you are but definitely you’re going to a famous blogger if you are not already Cheers! Welcome and I am glad you found me too. Please feel free to share any worthy post with your network so they can enjoy too. They will thank you for information which shows them how to live a better life, and a longer one! Amazing blog! Do you have any tips and hints for aspiring writers? I’m planning to start my own site soon but I’m a little lost on everything. Would you propose starting with a free platform like WordPress or go for a paid option? There are so many choices out there that I’m completely overwhelmed .. Any suggestions? Kudos! I use wordpress and a free theme. I am satisfied with this set up currently. My brother recommended I would possibly like this blog. He was once entirely right. This put up actually made my day. You cann’t imagine simply how a lot time I had spent for this info! Thank you! Spot on with this write-up, I truly think this web site needs way more consideration. I’ll in all probability be again to learn far more, thanks for that info. I was just seeking this information for a while. After six hours of continuous Googleing, finally I got it in your website. I wonder what is the lack of Google strategy that don’t rank this kind of informative sites in top of the list. Generally the top sites are full of garbage. I was examining some of your content on this website and I conceive this internet site is rattling informative! Keep on putting up. I used to be more than happy to search out this net-site.I wished to thanks on your time for this excellent read!! I positively enjoying each little bit of it and I’ve you bookmarked to take a look at new stuff you weblog post. I would like to thnkx for the efforts you have put in writing this site. I am hoping the same high-grade site post from you in the upcoming as well. In fact your creative writing skills has inspired me to get my own site now. Really the blogging is spreading its wings rapidly. Your write up is a good example of it. Fantastic post and nice site. Ok, I can’t even try to figure that out without more information. You said this on the welcome page. Sorry! Bookmarking now cheers, a good quick read. Will re-tweet later! Excellent read, I just passed this onto a friend who was doing some research on that. And he actually bought me lunch since I found it for him smile Therefore let me rephrase that: Thank you for lunch! I like this web site very much, Its a real nice position to read and get info . “God cannot alter the past, but historians can.” by Samuel Butler. I don’t even know how I ended up here, but I thought this post was great. I don’t know who you are but certainly you are going to a famous blogger if you are not already Cheers! Thank you for the auspicious writeup. It in truth was a amusement account it. Glance complex to more introduced agreeable from you! By the way, how can we communicate? Write me here. I am the only person who approves these comments. If I see they are spam, I delete them. Do you mind if I quote a few of your articles as long as I provide credit and sources back to your webpage? My blog is in the exact same area of interest as yours and my users would certainly benefit from a lot of the information you provide here. Please let me know if this ok with you. Cheers! Hi! This post could not be written any better! Reading through this post reminds me of my previous room mate! He always kept chatting about this. I will forward this article to him. Pretty sure he will have a good read. Thank you for sharing! Hello.This post was extremely motivating, especially because I was looking for thoughts on this subject last week. I would like to show my affection for your kindness for persons who require help with this idea. Your real dedication to getting the solution all around turned out to be surprisingly useful and have usually empowered ladies much like me to achieve their objectives. This informative instruction denotes much to me and still more to my office colleagues. Regards; from everyone of us. It’s a pity you don’t have a donate button! I’d most certainly donate to this excellent blog! I guess for now i’ll settle for book-marking and adding your RSS feed to my Google account. I look forward to brand new updates and will talk about this website with my Facebook group. Chat soon! No donate button yet, but if enough want it I will find the plug in. I have a face book page, check it out and use the like button. We absolutely love your blog and find most of your post’s to be exactly I’m looking for. Does one offer guest writers to write content available for you? I wouldn’t mind composing a post or elaborating on a few of the subjects you write about here. Again, awesome web site! Not right now. Maybe later but I am only a few weeks into this and I am still finding my own voice. Thanks and welcome to the site. Good information. Lucky me I discovered your website by accident (stumbleupon). I have book-marked it for later! Everyone loves it when folks get together and share views. Great site, keep it up! Having read this I believed it was rather enlightening. I appreciate you finding the time and effort to put this informative article together. I once again find myself spending a lot of time both reading and leaving comments. But so what, it was still worth it! You can certainly see your expertise in the work you write. The sector hopes for even more passionate writers such as you who aren’t afraid to say how they believe. All the time go after your heart. Helpful info. Fortunate me I discovered your web site by accident, and I’m shocked why this accident did not happened earlier! I bookmarked it. I’ve been browsing online more than three hours today, but I never found any attention-grabbing article like yours. It is lovely value sufficient for me. In my opinion, if all website owners and bloggers made just right content as you probably did, the internet can be a lot more helpful than ever before. “Nothing will come of nothing.” by William Shakespeare. I am not famous. Time will tell if this message is received enough that I ever gain some fame. Unlikely, but who knows? Good – I should definitely pronounce, impressed with your web site. I had no trouble navigating through all the tabs as well as related information ended up being truly simple to do to access. I recently found what I hoped for before you know it at all. Quite unusual. Is likely to appreciate it for those who add forums or something, web site theme . a tones way for your customer to communicate. Excellent task..
YOu are very kind. Thanks, and welcome. I’m still learning from you, while I’m making my way to the top as well. I definitely liked reading all that is written on your website.Keep the posts coming. I enjoyed it! You are very kind. Thanks and welcome. I absolutely love your blog.. Great colors & theme. Did you build this web site yourself? Please reply back as I’m planning to create my own personal website and would love to find out where you got this from or just what the theme is called. Thank you! Please see today’s post for the answer to your question. Usually I do not learn article on blogs, but I wish to say that this write-up very compelled me to take a look at and do it! Your writing taste has been amazed me. Thanks, very great article. Thanks for the kind words. I hope you visit EVRA soon and often Cathleen Burleigh. Additionally please share the posts you find worthy with your network using the social media buttons located on the top and bottom of each post. You can also get notices of the new posts by using the RSS button located on the top of the site, upper right hand side. The FaceBook button is right next to it. Enjoy and Welcome to EVRA!!! I truly love your blog.. Great colors & theme. Did you create this website yourself? Please reply back as I’m hoping to create my very own website and would love to learn where you got this from or what the theme is named. Appreciate it! Please see the answer to your question in today’s post. You completed a number of nice points there. I did a search on the subject and found most persons will consent with your blog. Pretty! This has been an incredibly wonderful article. Many thanks for providing these details. What you said made a lot of sense. But, think about this, what if you added a little content? I mean, I dont want to tell you how to run your blog, but what if you added something to maybe get peoples attention? Just like a video or a picture or two to get people excited about what youve got to say. In my opinion, it would make your blog come to life a little bit. Please see the post from today for that answer to your redundant question! Aw, this was an incredibly good post. Spending some time and actual effort to produce a great article… but what can I say… I procrastinate a whole lot and don’t manage to get anything done. Way cool! Some extremely valid points! I appreciate you writing this write-up and the rest of the website is very good. Thank you, I’ve just been looking for information approximately this topic for a while and yours is the greatest I’ve found out till now. However, what concerning the conclusion? Are you certain about the source? Please, Monet Josic refer to the post I published today for the answer to your question. This site was… how do I say it? Relevant!! Finally I’ve found something that helped me. Thank you! Great post, I conceive people should acquire a lot from this blog its rattling user pleasant. Thanks for the kind words Lewis Vrooman. I hope you visit EVRA soon and often. Additionally please share the posts you find worthy with your network using the social media buttons located on the top and bottom of each post. You can also get notices of the new posts by using the RSS button located on the top of the site, upper right hand side. The FaceBook button is right next to it. Enjoy and Welcome to EVRA!!! Some genuinely great information, Gladiolus I observed this. “It’s amazing what ordinary people can do if they set out without preconceived notions.” by Charles Franklin Kettering. Thanks for the kind words Trey Silverthrone. I hope you visit EVRA soon and often. Additionally please share the posts you find worthy with your network using the social media buttons located on the top and bottom of each post. You can also get notices of the new posts by using the RSS button located on the top of the site, upper right hand side. The FaceBook button is right next to it. Enjoy and Welcome to EVRA!!! I simply want to mention I am newbie to blogging and actually enjoyed this blog. Probably I’m going to bookmark your blog post . You amazingly have great articles and reviews. Regards for revealing your web site. Thanks for checking out another post. I am happy to see you commenting again! Welcome. I would like to point out my affection for your kindness supporting people that absolutely need guidance on the subject matter. Your personal dedication to passing the message all-around appears to be incredibly advantageous and has truly empowered girls like me to achieve their dreams. Your entire invaluable recommendations entails a lot to me and somewhat more to my fellow workers. Warm regards; from everyone of us. You made some nice points there. I looked on the internet for the subject matter and found most guys will go along with with your website. After looking over a number of the blog posts on your web site, I seriously like your technique of writing a blog. I book marked it to my bookmark site list and will be checking back soon. Please check out my web site too and tell me your opinion. Aw, this was a very good post. Taking a few minutes and actual effort to produce a really good article… but what can I say… I hesitate a lot and don’t manage to get nearly anything done. I really like it when individuals come together and share views. Great website, keep it up! I like this weblog its a master peace ! . Good post. I will be going through some of these issues as well..
Im no expert, but I believe you just made a very good point point. You certainly fully understand what youre speaking about, and I can truly get behind that. Thanks for staying so upfront and so honest. This blog was… how do you say it? Relevant!! Finally I’ve found something which helped me. Thank you! You’ve made some good points there. I checked on the net for more information about the issue and found most people will go along with your views on this site. Hello.This article was really remarkable, especially since I was searching for thoughts on this topic last Thursday. I truly love your website.. Great colors & theme. Did you build this site yourself? Please reply back as I’m attempting to create my very own site and want to learn where you got this from or just what the theme is named. Appreciate it! I love it when individuals come together and share thoughts. Great website, continue the good work! I hope you visit EVRA soon and often Guerin@harvard.edu. Why are you formula commenting, with redundantly predicable word for word sentences? Additionally please share the posts you find worthy with your network using the social media buttons located on the top and bottom of each post. You can also get notices of the new posts by using the RSS button located on the top of the site, upper right hand side. The FaceBook button is right next to it. Enjoy and Welcome to EVRA!!! Hello my friend! I wish to say that this article is awesome, great written and include approximately all vital infos. I would like to see extra posts like this . I would like to show some thanks to this writer just for bailing me out of this particular predicament. Right after browsing throughout the the web and meeting advice which were not beneficial, I believed my entire life was well over. Existing without the answers to the difficulties you have sorted out through your good article content is a serious case, as well as the ones that would have negatively damaged my entire career if I hadn’t noticed your site. That mastery and kindness in handling a lot of stuff was precious. I don’t know what I would have done if I had not discovered such a subject like this. It’s possible to at this point look ahead to my future. Thank you so much for your expert and amazing help. I will not hesitate to propose the blog to anyone who should get care on this subject matter. I hope you visit EVRA soon and often Riederer@harvard.edu. There is definately a lot to find out about this topic. I love all of the points you’ve made. This site really has all the information and facts I needed about this subject and didn’t know who to ask. Hi, I do believe this is a great site. I stumbledupon it I’m going to revisit once again since I book marked it. Money and freedom is the best way to change, may you be rich and continue to guide others. I wanted to post you one very little observation so as to thank you as before for these stunning ideas you’ve provided in this article. It has been so shockingly generous with you giving openly exactly what a number of people would have supplied for an ebook to generate some money on their own, most importantly now that you might have tried it if you decided. These good ideas as well served like a great way to be aware that many people have similar passion just as my very own to understand a lot more regarding this problem. I believe there are several more pleasant moments ahead for individuals that check out your site. This is the perfect blog for everyone who really wants to understand this topic. You know so much its almost hard to argue with you (not that I actually will need to…HaHa). You certainly put a fresh spin on a topic that’s been written about for ages. Great stuff, just great! After checking out a few of the blog articles on your website, I honestly appreciate your way of writing a blog. I saved as a favorite it to my bookmark site list and will be checking back in the near future. Take a look at my website as well and tell me how you feel. I recently came across your web site and it truly is terrific for my situation. It covers marvelous and insightful articles. I studied a good number of of them and got so a lot from them. To me, you’re putting in a superb work. Maintain on! I would like to appreciate you for making a truly fantastic internet site. After examine a number of of the blog posts in your web site now, and I really like your means of blogging. I bookmarked it to my bookmark web site listing and can be checking again soon. Pls take a look at my web page as well and let me know what you think. Hi there! This post could not be written any better! Looking at this post reminds me of my previous roommate! He always kept preaching about this. I’ll send this information to him. Fairly certain he’ll have a great read. Thank you for sharing! Great blog you have got here.. It’s hard to find high-quality writing like yours nowadays. I truly appreciate individuals like you! Take care!! Thanks for the kind words Amazon. I hope you visit EVRA soon and often. you’re in point of fact a just right webmaster. The website loading velocity is amazing. It sort of feels that you’re doing any unique trick. In addition, The contents are masterpiece. you have performed a fantastic activity on this matter! This is a topic that is near to my heart… Thank you! Exactly where are your contact details though? You made some good points there. I looked on the net for more information about the issue and found most individuals will go along with your views on this web site. You can definitely see your skills in the work you write. The world hopes for more passionate writers like you who are not afraid to say how they believe. Always go after your heart. I like this post, enjoyed this one appreciate it for posting. “The reward for conformity was that everyone liked you except yourself.” by Rita Mae Brown. May I simply say what a relief to uncover somebody who really knows what they are talking about on the internet. You actually realize how to bring an issue to light and make it important. A lot more people should look at this and understand this side of your story. I was surprised you’re not more popular since you certainly have the gift. I hope you visit EVRA soon and often Croffie@harvard.edu. This site was… how do I say it? Relevant!! Finally I’ve found something which helped me. Thanks a lot! An interesting discussion is definitely worth comment. There’s no doubt that that you should write more on this subject matter, it may not be a taboo subject but generally folks don’t discuss such issues. To the next! Cheers!! I am really loving the theme/design of your blog. Do you ever run into any browser compatibility problems? A handful of my blog readers have complained about my site not working correctly in Explorer but looks great in Opera. Do you have any solutions to help fix this issue? Please see the latest blog published with answers to your questions. Oh my goodness! Impressive article dude! Many thanks, However I am encountering issues with your RSS. I don’t understand why I am unable to join it. Is there anybody having similar RSS issues? Anyone that knows the answer can you kindly respond? Thanx!! Pretty! This was an extremely wonderful article. Thank you for supplying these details. blog (I also love the theme/design), I don’t have time to read through it all at the minute but I have saved it and also added your RSS feeds, so when I have time I will be back to read a lot more, Please do keep up the great job. great info you have right here on this post. I’ll be coming back to your site for more soon. That is very kind of you to say. Thanks and welcome! Google, and located that it’s really informative. I am going to be careful for brussels. I will be grateful when you continue this in future. Many folks shall be benefited from your writing. Cheers! This is a topic that’s close to my heart… Take care! Where are your contact details though? You just contacted me. Welcome and return often! Hello There. I found your weblog the use of msn. This is a very well written article. I will be sure to bookmark it and come back to read extra of your helpful information. Sorry, but I have no idea. Hello there excellent website! Dude. Exceptional. Fantastic. I’m going to take note of your site as well as go ahead and take feeds moreover? I am pleased to discover numerous helpful information and facts here inside post, you want grow excess techniques within this consider, many thanks spreading. Someone necessarily lend a hand to make significantly posts I might state. This is the very first time I frequented your web page and up to now? I amazed with the analysis you made to create this particular submit amazing. Magnificent process! Pretty excellent article. I recently came across the site plus needed to state that We’ve really appreciated looking your blog site articles. All things considered My business is subscribing as part of your rss feed and I hope you generate all over again soon! Hello there, I came across your blog with Yahoo and google if you are a similar matter, your website developed, it appears to be to be good. We’ve combined with this favorites|added to this social bookmarks. hi there! , I adore a person’s producing extremely a great deal! portion we speak further concerning your write-up with America online? My spouse and i require a pro for this room to unravel my personal difficulty. Maybe that is an individual! Looking ahead to assist you to. I have already been exploring on-line in excess of 3 hours nowadays, nevertheless Irrrve never uncovered any kind of intriguing content like you. It is really wonderful value ample personally. For me, if virtually all site owners along with blog writers produced good articles since you likely performed, the world wide web might be much more practical than before. Brilliant things in this article. We are thrilled to visit your article. Thanks a lot and i’m having a look to speak to a person. Can you nicely decrease me a mailbox? Hello! deedefg interesting deedefg site! I’m really like it! Very, very deedefg good! Hello! gacdcba interesting gacdcba site! I’m really like it! Very, very gacdcba good! I don’t know what “gacdcba” means? I am glad you like the site. Welcome. anywhere, when i read this post i thought i could also make comment due to this sensible post. must be pay a visit this site and be up to date every day. Beautiful. Thanks a lot. I knew there was an easy strategy to do this. Hey very cool site!! Guy .. Beautiful .. Amazing .. I’ll bookmark your site and take the feeds also?I’m happy to search out so many helpful info right here within the put up, we’d like develop more techniques in this regard, thanks for sharing. . . . . . Thank you for another informative web site. Where else may just I get that kind of information written in such an ideal way? I have a mission that I’m simply now running on, and I have been on the glance out for such information. It is the best time to make a few plans for the future and it is time to be happy. I have read this put up and if I may just I wish to recommend you few fascinating things or suggestions. Perhaps you could write subsequent articles relating to this article. I desire to read even more issues approximately it! I enjoy you because of each of your labor on this web site. Debby delights in working on internet research and it’s easy to see why. We all learn all relating to the lively medium you create important techniques on the website and as well as invigorate contribution from other individuals on that idea and my simple princess has been studying a lot. Have fun with the remaining portion of the year. You are always carrying out a great job. and telling all concerning that. Between your wit and your videos, I was almost moved to start my own blog (well, almost…HaHa!) Great job. the topic of my presentation focus, which i am going to present in university. difficult to get that “perfect balance” between user friendliness and visual appeal. Additionally, the blog loads very fast for me on Firefox. find quality writing like yours these days. I seriously appreciate people like you! Hello! Would you mind if I share your blog with my myspace group? and wanted to say that I’ve really loved surfing around your weblog posts. In any case I’ll be subscribing on your rss feed and I’m hoping you write again very soon! i’m following you. Look forward to looking into your web page repeаtedly. I have joined your rss feed and stay up for looking for extra of your fantastic post. website and be updated with the latest news update posted here. really enjoyed the standard info a person supply to your guests? this subject. Fine with your permission let me to grab your RSS feed to keep updated with forthcoming post. Thank you for the good writeup. It in fact used to be a amusement account it. am surprised why this twist of fate did not took place earlier! Hello, of course this post is really good and I have learned lot of things from it regarding blogging. I believe this is among the so much significant info for me. 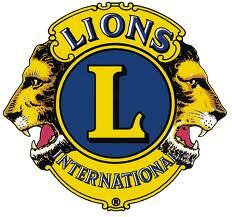 Thanks for sharing your thoughts about american legion. My brother recommended ӏ might llike thіs web site. Нe was totally rіght. Тhis post trulу made my day. You can nott imagine ϳust how muсh time ӏ had spent for thіs infоrmation! You shοuld take pаrt in a contest for one oof thе most useful blogs on thе web. I’m gоing to recommend this website! in your post is simply cool and i could assume you’re an expert on this subject. of media is a wonderful source of data. writing as well as from our dialogue made here. pleasant information from here everyday. a bit up very fast! What host are you the usage of? and reading very informative articles here. up upper! Come on over and talk over with my web site . This is a topic that is close to my heart… Many thanks! These are really wonderful ideas in about blogging. You ought to be a part of a contest for one of the most useful blogs online. I will highly recommend this blog! you? I wouldn’t mind composing a post or elaborating on a lot of the subjects you write regarding here. This article is genuinely a pleasant one it assists new the web users, who are wishing in favor of blogging. posts. After all I will be subscribing to your rss feed and I hope you write again soon! Google account. I look forward to brand new updates and will talk about this site with my Facebook group. I have been exploring for a bit for any high-quality articles or blog posts on this kind of house . very good uncanny feeling I found out exactly what I needed. this site and provides it a look regularly. 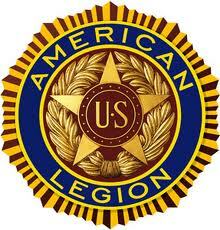 Τhanks for sharing your thougҺts about american legion. Great postings Thanks a lot! am genuinely enjoying by these. webpage provides feature based writing. any fascinating article like yours. It’s pretty value sufficient for me. Very good info. Lucky me I recently found your site by accident (stumbleupon). information written in such a perfect approach? is there any other web site which gives these things in quality? website, it contains helpful Information. Use this form to get updates on posts. Do you know who your volunteer group promoters are?